The hardy perennials are always good of course, and it’s been pleasing to see the resurfacing of a story covered here way back in 2007. Yep, those creationist boys are at it again, and once again the controversy centres around the north’s sole World Heritage Site, the famous Giant’s Causeway. Even those of you who have never been to the Giant’s Causeway will instantly recognise those hexagonal basalt columns from the cover of Led Zep’s classic album Houses of the Holy. Quite the landmark, I’m sure you’ll agree. Now, there are two theories in currency about the origins of the Causeway. Most if not all geologists reckon it was formed around sixty million years ago as a result of volcanic activity. On the other hand, many DUP members reckon it was formed around four thousand years ago as a result of Noah’s Flood. The two theories are obviously incompatible. This ties in with the recent controversy over the intervention of the Stormont culture minister Nelson McCausland (DUP, North Belfast) in the content of museums here. Nelson, you’ll recall, was keen to see museums give more prominence to the Orange Order, Ulster Scots and “alternative theories of the origins of the universe”. Of course, Nelson’s love of alternative history – he’s not only a young-earth creationist but also a British Israelite – is remarkably strong even for a DUP man. One might have assumed that this was just Nelson going on one of his occasional solo runs. But, as Pete points out in an excellent bit of detective work, there seems to be more to it than that. When the Caleb Foundation met with the Minister we discussed concerns that we had regarding the imbalance that is all too evident at the Ulster Museum. Imbalance and philosophical prejudice is on public display at the Museum. The fact is that when we consider the origin of the universe and the origin and development of life on earth, science is not settled. There is data. There are artefacts. There are scientific laws. There is a majority scientific opinion that explains these things in terms of an ancient universe and gradual step by step evolution from primitive and simpler life to more complex and advanced life. But there is also a minority scientific opinion – to be found in working scientists, college science lecturers etc who come to different conclusions, pointing instead to a much younger earth. If Northern Ireland is to move towards a shared future on a genuine basis of equality and inclusivity, then it is only right that a publicly funded institution such as the Ulster Museum is fully and sensitively reflective of the various views of society as a whole – including those of evangelical Christians. As tax payers and Christians, we are very concerned about this fundamental lack of balance and impartiality. We would therefore be interested to know to what extent, if any, the activities of National Museums Northern Ireland, and, in particular, the Ulster Museum, have been assessed against the statutory requirements of section 75 of the Northern Ireland Act 1998. This would seem to suggest that scientific opinion, at least if expressed in Norn Iron, should be subject to an equality audit. Perhaps they can find a judge who’s daft enough to agree to such a proposition. Perhaps the skeptical hobby community over in the imperial metropolis should be made aware of this. So who are the Caleb Foundation? It’s worth taking a look at their Council of Reference. This includes a number of prominent fundamentalist clerics, including the Rev Ron Johnstone, Dr Paisley’s successor as Free Presbyterian moderator, as well as members of smaller fundie sects; Wallace Thompson of the Evangelical Protestant Society, who is currently promoting a campaign against the papal visit almost indistinguishable from that of Peter Tatchell and Terry Sanderson, and who acts as Council chairman; and an actual Stormont MLA, in the unmistakeable form of Mervyn Storey (DUP, North Antrim). Mervyn, as regular readers will know, has previous on this issue. The CF seems from its website to have particular preoccupations with Sabbatarianism (something that will resonate with Nelson McCausland, a former heid-yin of the Lord’s Day Observance Society) and creationism. Mrs A Foster: Geologists generally agree that the Giant’s Causeway is some 60 million years old. 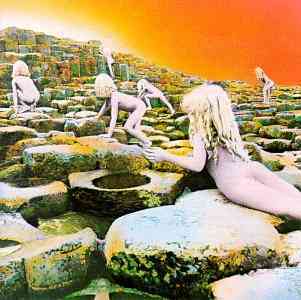 As you will be aware, however, there are alternative views in relation to the age of the Giant’s Causeway. You may detect a lodging of tongue in cheek there, and I don’t think you’d be wrong. Arlene, of course, is not a fundamentalist but a member of the Church of Ireland – a body Dr Paisley used to revile as a Vatican-controlled apostate church – and could be forgiven for occasionally rolling her eyes at the utterances of her Biblical literalist comrades. However, if Caleb don’t get anywhere with Arlene, they could always try environment minister Edwin Poots (DUP, Lagan Valley) who has the advantage of being a Wee Free, and who doesn’t believe in evolution either. As ever, Professor Billy has the definitive take on what such an exhibition at the Interpretive Centre should involve. (I especially like the account of the Laird snacking on veda and cheese. And we really must get Billy hooked up with Sophia.) As it happens, I also read that the Georgia-based Gallery of Creation is auctioning off its entire collection of curiosities; perhaps Nelson could acquire them for the Ulster Museum? 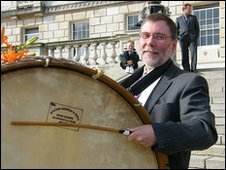 Stormont culture, arts and leisure minister Nelson McCausland (DUP, North Belfast) is a funny cove. There’s the matter of his extraordinary political trajectory from UUUP (remember them?) to Independent to UUP to DUP, but that isn’t the half of it. Nelson seems determined to encapsulate within his own person as many loyalist tropes as possible. He’s an Ulster-Scots enthusiast, and will recite chunks of Burns from memory if you ask him. He has an unnerving tendency to whip out his accordion to provide the masses with musical entertainment. He was for many years the heid-yin of the Lord’s Day Observance Society, a small group of earnest people who liked to go about chaining up swings on the Sabbath. He also used to be a British Israelite, and for all I know may still be. The great man even has his own blog, where you can read his whimsical thoughts. The culture minister has asked museums to give more prominence to Ulster-Scots, the Orange Order and alternative views on the origin of the universe. Nelson McCausland wrote to the trustees of National Museums Northern Ireland (NMNI) saying he wants the issues given consideration in the short term. The Department of Culture, Arts and Leisure (DCAL) said it was part of its commitment to a shared future strategy. It is understood National Museums NI has not yet responded to the letter. Speaking on Wednesday, Mr McCausland said: “There are a range of perspectives and I want simply to have in there consideration given to reflecting the diversity of views in Northern Ireland. He says National Museums’ contribution to the shared future agenda can best be achieved by “practical measures”. Among these measures are consideration of how best to recognise the role of the Grand Lodge of Ireland and other fraternal organisations. He specifically mentions the “Plantation to Power Sharing” exhibition which is currently on at the Ulster Museum and suggests that the trustees should consider changes to the exhibition before the summer months. In terms of Ulster-Scots, Mr McCausland wrote that the local history exhibition should recognise the contribution of the Hamilton Montgomery Settlement, considered to be the most important event in Ulster-Scots history. The issue of the origin of the universe and the different theories explaining it was previously raised by Mr McCausland’s DUP assembly colleague Mervyn Storey. He said that he wanted the views of creationists – the concept of God creating the universe in contrast to the scientific theory of evolution – to be represented in the exhibitions. Without specifically mentioning creationism, Mr McCausland’s letter includes a request for the trustees to consider how alternative views of the origin of the universe can be recognised and accomodated. In a statement, DCAL said it welcomed the discussions on the NMNI’s potential contribution to the shared future agenda and was awaiting a response. Meanwhile, SDLP culture spokesman Thomas Burns said it was “a mark of a liberal society that its cultural institutions should be free of party-political interference”. “Any attempt to politicise public spaces or dictate to cultural institutions is a serious threat to our hopes of a shared society and should be resolutely resisted,” he said. Sinn Fein’s Barry McElduff criticised Mr McCausland’s letter as “wholly unacceptable”. Well, now. Museum exhibitions on Orangeism, or the north’s links with Scotland, are one thing; these are part of our history, like it or no. It’s the weird science of the Young Earth creationists, who are legion in the DUP, that raises eyebrows in the metropolis. Indeed, the Stephen Nolan show this morning had none other than Professor Dawkins, taking a break from the Lord George Gordon Re-Enactment Society to indulge in a bit of bashing of the straw minister. This is the sort of thing that makes respectable unionists in places like North Down think twice about supporting the DUP; after all, could you really introduce these guys to David Cameron? It’s all a matter of how it reflects on Norn Iron in the all-important British view. As for me, I think Nelson should be a museum exhibit himself, as exemplifying the wondrous phenomenology of the unionist mind. More on this from Mark. You may have noticed that good old Prof Dawkins is popping up again on the TV, to celebrate the 150th anniversary of Darwin’s Origin of Species. And a fine populariser of science he is too, although I feel he does tend to go for the straw men rather a lot when he strays into the realms of theology. Creationism is not for the RE class because I believe that it can stand scientific scrutiny and that is a debate which I am quite happy to encourage and be part of. The issue for the current Education Minister [Caitriona Ruane] is that she tells us she’s all for equality – surely if that is the case, you can’t have one set of interpretations being taught at the expense of others. So, if there are those from the scientific community [who believe in creationism] who can give a view about how the world came into existence then it can’t be set aside. You can’t have one very narrow theory. If this politician [Mr Storey] wants to import creationism into science classes, I’m wondering which kind of creationism – Hindu creationism, Jewish creationism, Babylonian creationism, Aztec creationism? My guess is that it is probably Genesis creationism and there’s absolutely no reason for it. I think it’s sad that people with ridiculous views do get elected because it suggests that the electorate is not sufficiently well-educated to see through them. I would hope that a flat-earther would not be elected and would not be serving as an important official in educational circles – exactly the same would be true of at least a young earth creationist. Not, perhaps, a line that would go down well with the God-fearing folk of North Antrim, but at least Norn Iron’s small community of scientific rationalists will have a nice warm feeling today. Rud eile: the gay debate rumbles on, with a new row over Rev McIlveen and his congregation placing an anti-gay ad in the News Letter. Some things never change, do they? I should, I suppose, write today about our outstanding natural wonder, the Giant’s Causeway. This isn’t prompted, or at least only indirectly, by the ongoing row about the planned visitors’ centre, although I notice I haven’t covered this and it’s worth briefly recapping. In a nutshell, environment minister Arlene Foster (DUP) announced that she was “minded” to award the £20m contract for a new visitors’ centre to developer Seymour Sweeney. Arlene said she had no knowledge of Mr Sweeney, but it subsequently emerged that he was a member of the DUP and well acquainted with both Papa Doc and Baby Doc. This could well be entirely innocent, but it doesn’t look very good. It has also gone down badly with local DUP councillors, who have been agitating for a publicly funded visitors’ centre. Anyway, what piqued my interest was an item on yesterday’s Talk Back. This was connected not to the contract for the visitors’ centre, but to its potential content. Dunseith had on some punter purporting to represent the Causeway Creation Committee. 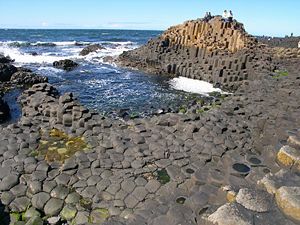 It emerged that the punter was demanding that the visitors’ centre, in addition to the geological explanation for the Causeway (the basalt columns resulting from an ancient volcanic eruption) and the Fionn mac Cumhaill mythological explanation, should also give prominence to the creationist explanation. I wasn’t entirely clear what the creationist explanation for the Causeway was. This could be tied in to the recent action of Lisburn ‘City’ Council in supporting a DUP motion calling for Intelligent Design to be taught in local schools. Perhaps fortunately, the council has no powers over the curriculum. Meanwhile, we may ponder the theory posited by Oscar Kiss Maerth in the 1970s, that the human species had devolved from a race of brain-eating apes. Is it possible that some devolved further and found their way onto Lisburn council? Rud eile: While on the subject of property developers, I am informed that the Andytown barracks site was reclaimed by the community at the weekend. This amounted to sixty dispirited children, thirty dispirited adults and a bouncy castle. Update 17.10.07: I notice this letter in the Belfast Telegraph from the Causeway Creation Committee, arguing that the famous basalt columns are in fact a direct result of Noah’s Flood, and demanding that the visitors’ centre includes the biblical perspective.